A young boy named Jafar seek help from a Sorceress in order to get revenge from those who belittled him by learning dark magic, changing him in the process. Meanwhile, in Wonderland, Alice is faced with a complicated roadblock that forced her to do something she promised never to do. 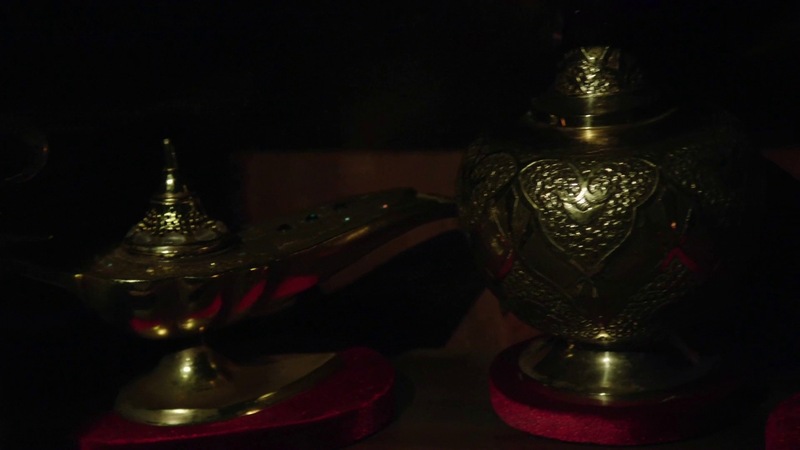 It’s just the fourth episode but they are already giving us some nice backstory, and about Jafar’s staff at that (kind of like Emma’s bug in Once Upon a Time). It was also nice to see his backstory and see his flipping point. On the other hand, Amara, the Sorceress, looked the same even after Jafar grow older. How old is she really? Amara means everlasting or eternal, while Mara means bitter. Is Amara immortal? At such a young age, Jafar appeared to already be filled with hatred; hatred towards his father, the Sultan, for abandoning him. Jafar then went to Amara to seek revenge and asked her to teach him dark magic so people will fear him like they did her. He also said that he hated his father with a fire of a thousand suns. Could he be seeking power as well? He is half-royal, after all. On a more interesting note, is Jafar, somehow, Princess Jasmin’s half sister? Or is it another Sultan that he is referring to? Knowing the show’s creators, anything is definitely possible. Knowing she couldn’t enact the spell by herself, Amara taught Jafar everything he must learn in order to fulfill the spell. Young Jafar seemed hell-bent on revenge, but the older Jafar looked the opposite. Jafar was also deeply grateful for what Amara did to him, but wasn’t grateful enough to turn her into what became his staff eventually. Before Amara began teaching the Masking spell to Jafar, Amara said that they need a human liver, which they got from Akil, the man he poisoned with the wine he gave him for his good deed. Is the Masking Spell something that will allow him to somehow disguise as someone else? If not, then what is it for? As for the Timeline, it looks like Jafar took the second bottle just a bit before Jafar went to the merchant from the second episode, Trust Me. Oh, and glad that Amara was not Jasmin; we sure don’t want to see one of our favorite princesses turning out to be evil. As Jafar learns the dark magic, Amara showed him a book containing all the words of wisdom about genies. Amara also showed him a spell that only the power of the three genies would allow them to cast; a spell so powerful even her magic could not attempt to learn but with a partner, Jafar, would be possible. It requires both their powers because if they succeed, making them the most powerful sorcerers ever known, and allowing them to change the laws of magic and everything they desire will come true. The book also showed the pictures of the exact lamps in Jafar’s lair. One of them looks a lot like Aladdin’s lamp. Is it the same lamp? 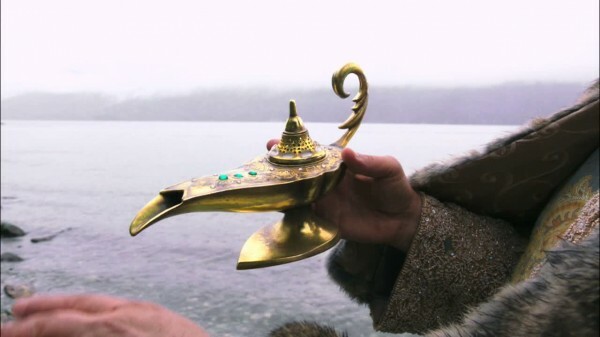 Are each genie’s lamp different or others were kind of the same? When Jafar succeeded in getting the second bottle, Amara turned the bar man into a fate worse than death, turning him into stone. This somehow reminded us of the Evil Queen’s Sleeping Curse in Once Upon a Time. 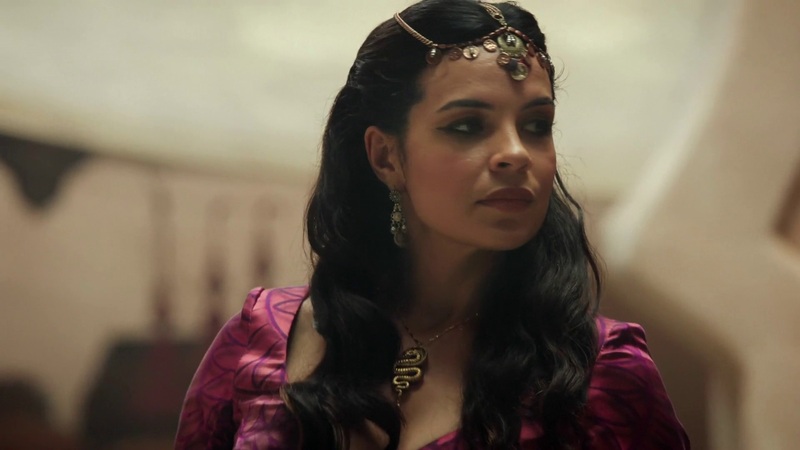 Moreover, Amara said that only she loved Jafar but Jafar used a potion that allowed him to steal Amara’s magical essence and turning her into a serpent staff. Looks like Amara also lives a fate worse than death. Will the serpent staff be turned into Amara again in the future? If she does, will she be willing to help Jafar? When Jafar collected the final lamp, will it turn Amara into her formal self? If the serpent staff is to be smashed, will she get back to her human form? More importantly, are we even going to see the other two genies? In the beginning, the Red Queen was seen playing chess, moving a Pawn to be exactly. Who is the Pawn? Jafar also regarded the Red Queen as the little girl with a stolen crown. Did Jafar know her history? 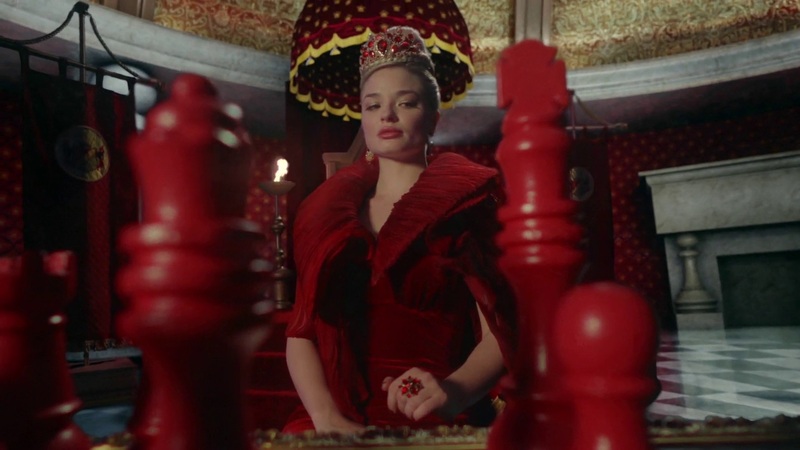 Did the Red Queen just stepped up when Cora, the Queen of Hearts left Wonderland and took over? The Red Queen was getting good in showing emotions through her face. Her Tweedles did seem to have their own sense of humor, though, supressing their laugh when the Red Queen told Jafar about using her palace’s doors as he made an entrance. One of the Tweedles refer to Jafar “Sire” and later, “Lord,” which is very royal-like. Does the Red Queen even know that one of the Tweedles is working for Jafar? Plus, did she know that Knave was here all along? Or was just she as shocked as Jafar? Alice and Will talks a lot about cards before they start running away from the Collectors. The Collectors, by the way, reminded us of the Bounty Hunters from Star Wars. Who is Elizabeth, aka the Lizard, by the way? She said that she used to run with Will, and has pick-pocketed the Tweedles every six months or so. She also seem to know her way around the Red Queen’s palace. The Lizard said that they don’t have a romantic relationship, but does she have some sort of romantic feelings toward him or was it all just platonic? 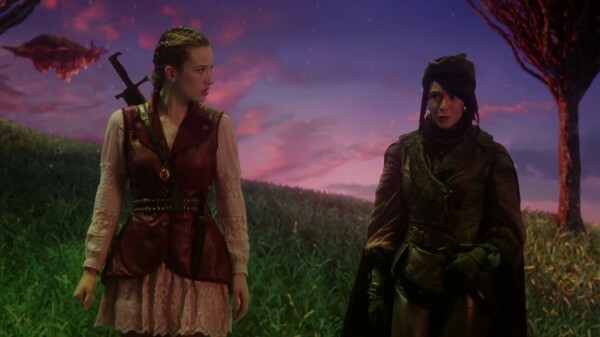 All throughout the episode, Jafar seemed to keep testing not only Alice, but the Red Queen as well; how far they are willing to go in order to get what they wanted. Inside Will’s cell, the Red Queen told him that she still get my hands dirty, the only difference is now I have someone else to clean them off for me. What dirty deeds did the Red Queen do? Can she also rip people’s heart out just like the Queen of Hearts? It was also shown of her using magic. Who taught her magic? Is it Jafar? The Lizard said that Will’s heart is in the right place because of Alice. Are we going to see its backstory? It would be nice to see the Queen of Hearts be involved in it, somehow. Amara said that it takes both her and Jafar to do the spell. Now that Amara was turned into a serpent staff, does Jafar still need the Red Queen’s magic in order to enact the spell? Are some people born with magical essence and Jafar, somehow, saw it around the Red Queen? How long until we see Alice be actually agressive and use her last two wishes? Also, now that Alice is tied to the Knave’s life, how many more important things will she lose in the process? Jafar did threatened to exploit her weakness of having a heart, after all. Furthermore, who is the other prisoner next to Cyrus? We have already seen Jafar’s backstory, is it the Sultan, the man who abandoned young Jafar? Does he want to change his past to make his father to somehow love and accept him or takeover the legitimate child’s place? The Disney movie Aladdin taught us that genies can’t kill anybody but that doesn’t mean magical people can’t do it. 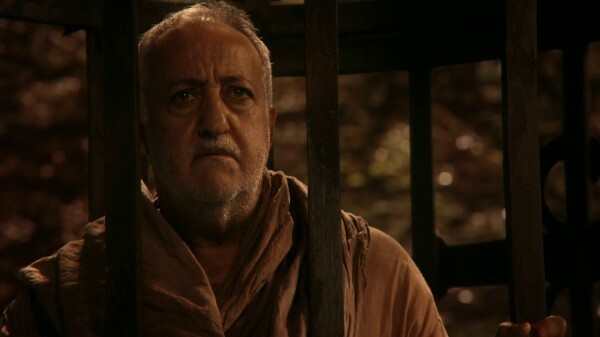 If there are more genies, how did Cyrus knew that Jafar was looking for him? Can genies sense other magical essences? Cyrus did say that he has served hundreds of masters. How did he even know how Jafar looked like? Has he come across him before? Can other genies communicate with other genies? Or were there only three genies that (used to) exist? The Red Queen told Alice that her lost love is now in his posession. Does that mean that she’s starting to change alliances? Is she even on Jafar’s side all along? The Red Queen also told Alice that she is in prison — Wonderland. Does the Red Queen also think and feel that she is, in a way, a prisoner of Wonderland? The Lizard said that Anastasia ruined Knave. Will also told her that while everyone in Wonderland look to her as their Queen, she is still the old Anastasia for him. Does that mean that people in Wonderland don’t know that the Red Queen is Anastasia and was actually the Knave of Heart’s old flame? Cyrus made a wishbone out of the bones he asked from the guard. What wonders will it do to Cyrus? Will it help Cyrus escape? Can he even touch the cage? As painful as it was, he did reached out his cage once. With two wishes left, and now that Will has been turned into a stone, will the Lizard help Alice in her quest, rescue Will (and Cyrus) along the way? What else would be her role in Alice’s quest to find her lost love? They made mention of him growing up in a land with a Sultan who he wanted revenge on, this was interesting to me as I remember the original Price of Persia games from like 1989 and in that story line there was a person named Jaffar and he grew up wanting revenge on the Sultan he became close to the Sultan in the palace when he grew older and became the Viezer to the Sultan one day the sultan gets called away to war and the Jaffar tries to seize power by forcing the Sultans daughter to marry him but there is a guy in the dungeon that becomes the prince of Persia by escaping and killing Jaffar freeing the princess, I see in the game that Jaffar uses magic a few times and in the sequel Jaffar is brought back to life by an evil witch which kind of rung a bell and reminded me of the women who teaches him magic in the Wonderland series, in the second game once he has been reborn he uses a magic cloak to steal the princes appearance and lives his life but the price eventually prevails and kills him again. Is Jafar not the ones we knew from Aladdin but was actually the one from Prince of Persia? 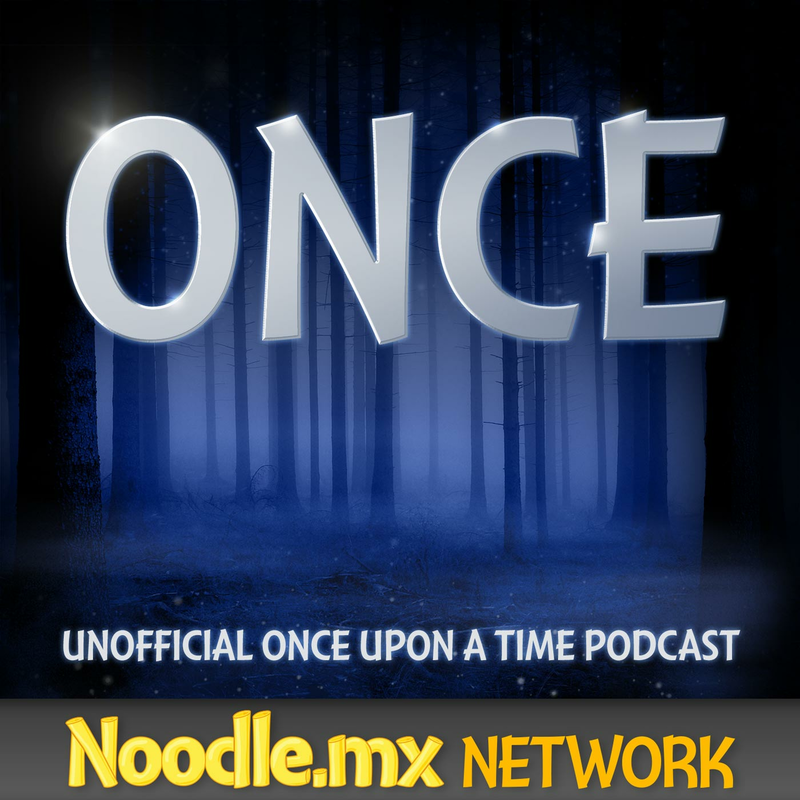 Just like Once Upon a Time, fans are also starting to create shipping names to the characters of Once Upon a Time in Wonderland. Some of the shipping names were Cylice for Cyrus and Alice, Jamara/Jamfarma for Jafar and Amara, Wilana/RedThief for Will/Knave of Hearts and the Red Queen/Anastasia. Do you agree with these shipping names or have you got something better? Share it with us using the comment section below!